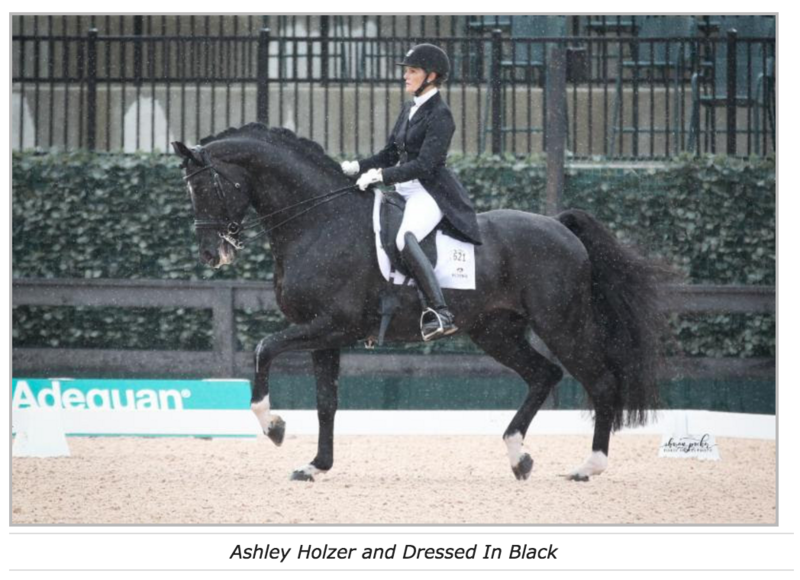 According to a recent press release by Tryon International Equestrian Center, on April 22, 2016 famed Olympic dressage rider Ashley Holzer came to TIEC for the first time and won the first ever Grand Prix FEI CDI 3* Dressage Competition held here in Tryon. The FEI (Fédération Equestre Internationale) is the international governing body for equestrian sports, founded in 1921. It’s headquartered in Lausanne, Switzerland and currently has 134 member countries. FEI events are the most elite international championships and competitions in the world. The FEI governs and provides rules on equestrian games for the International Olympic Committee. Holtzer’s win on Dressed in Black is a great triumph for her, and also for Tryon as it continues to establish a solid position in the world of elite equestrian show venues. Second place winner Chris Von Martels “echoed Holzer’s sentiments, stating that another world-class venue in the United States only benefits the riders and their horses, helping combinations to prepare for major championship events around the globe. Here is a link to the Equestrian Venue and Operational Requirements, which TIEC accomplished in just two short years.